Learning one language can be very intimidating. From grammar and vocabulary to fluency and conversation, there are so many things to learn, many people feel it is an impossible endeavor. But what if you have two languages you want to learn, and you don’t have time to wait for the first one to sink in? It is just as possible to learn two languages as it is to learn one. You just need to be dedicated and take an approach that will work. Perhaps the most important thing to keep in mind is that you probably shouldn’t be learning your second and third language at the same time (unless you are a child, in which case it hasn’t been that long since you learned your native tongue). You need to have some practice at what learning a language takes because it is a very different approach to learning any other subject. If you know you are capable of learning a language (and let’s face it, everyone is, you just need to know what it takes), learning two at a time really isn’t that much different. That is possible, depending on your languages and the situation. However, it isn’t as likely as you think, particularly for two entirely different languages (like an eastern and a western language). One thing that you absolutely need though, is the right conditions to continue to learn two at a time. You must have strong tools for both languages; not just one. If you lack both the tools and motivation for one of the languages, you will fail at that one. This is one of the most common reasons for people to fail. Learning a language, no matter how many you are learning at a time, requires a strong foundation. Without the tools and motivation, you will lack the necessary foundation to build proficiency (and you can forget about being fluent). If you find that you do not have what is needed to learn one of the two, drop t one. There is no reason to fail at learning at least one of the languages if you have what is required to succeed. The first place to start is with motive. What is your motive for learning each language? Is it something practical, like a business trip, or is it more personal, like a future vacation you want to start planning? The next question is, do you have adequate motivation to keep going? For business trips, the answer is probably yes. If you are going to be in the country where the language is natively spoken, you have a reason to keep going. However, it isn’t the only factor to consider. 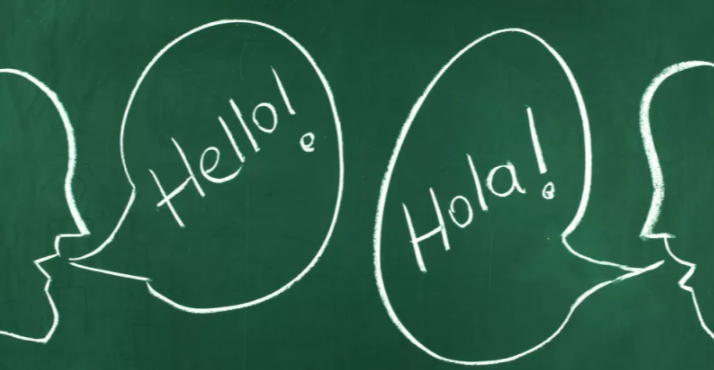 Do you know anyone who speaks the language natively (or is fluent in it)? You need to be able to talk to someone in your target language, whether you are learning one or multiple languages at a time. The act of speaking and seeing your fluency and comprehension grow is a huge motivator. Without it, you will find your willingness to keep trying to learn one of them increasingly difficult. Human interaction really cannot be overstated in developing the necessary language skills. From correcting your mistakes to expanding your vocabulary to giving you a lot of practice, that connection is essential for growing as a speaker. If you know why you are seeking to learn a language, that will give you the motivation to find the right resources and tools (if you don’t already have them). There is no shortcut to learning a language. Some may be easier for you to learn than others, especially if they are similar to your own (for example English and German or Spanish and Portuguese). However, it would be wrong to believe that it is going to take significantly less time to learn the one that is similar. The difference is you have certain blocks already in place, but you will need to study and practice just as much to develop fluency. Time is really one of the most important keys to learning. If you aren’t willing or able to dedicate twice as much time to learning both languages, stick with one at a time. Know your schedule and how much time you can work your studies into it. Since you will need an equal amount of time, you will need twice as much time for your endeavor. If you know that it is not enough time to actually learn two languages, stick with one. Be realistic. If you aren’t, you are setting yourself up to fail. Achievable goals are a necessity. Without them you are still setting yourself up to fail. You need to be able to measure your progress for both languages and determine what areas you need to develop more. Goals are essential to acquire any skill. When you have two projects, you need two separate goals. They need to be equally realistic. You do not necessarily need to progress at the same pace, but you need to feel that you are progressing with both. You also need to pay attention to your other life goals. You won’t feel like you have succeeded if you fail in another major area of your life. For example, if you are already fluent in another language (or several), maintaining your fluency is probably a goal (especially if you don’t get to speak in them often, you will need to practice more often). Consider other goals before you find you cannot meet any of them. You will need to study every day. If you have the time and the motivation, you need to make sure to budget your time wisely. You also need to make sure to follow through. It is certainly the hardest part of learning two languages at a time because it will absolutely feel like a chore at first. This goes beyond willpower, dedication, and desire. It is both proper time management and sacrifice. It is also doing something most people hate doing – budgeting time. It takes time to learn a language. To succeed, you have to have a plan that you can follow. It must be daily, and it must be achievable. If you sleep 8 hours a day and plan to cut out an hour of sleep to have the time, you had best make sure you can reduce your sleep before committing to that plan. If you cannot function on less sleep, it is not a plan you will be able to follow. Learning two languages is entirely possible, but it takes a lot of work. Proper planning and prioritizing will go a long way.